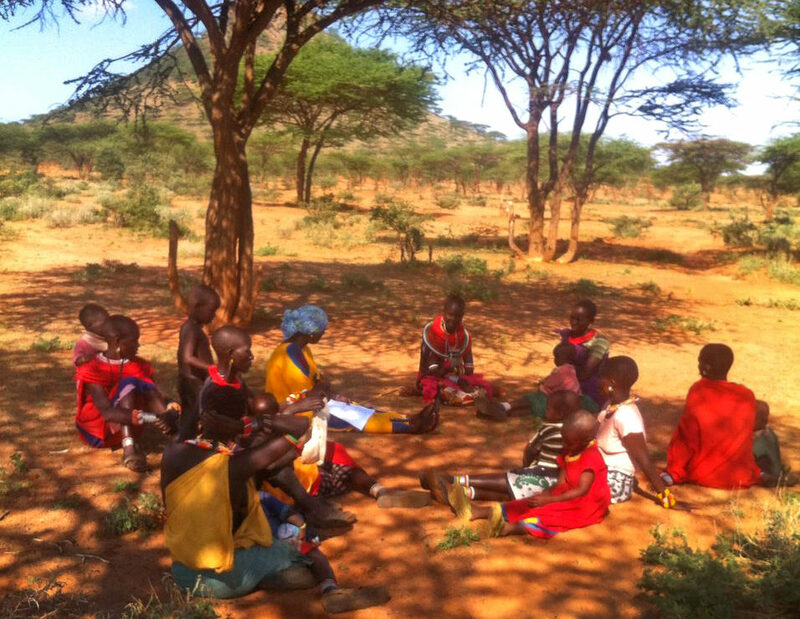 Through the hot months of November and December 2016, our team of researchers moved around Samburu and Laikipia counties, Kenya, carrying out interviews and discussions for our study on Pastoralists Women and Water Security. However, this hard work is nothing compared with the burden that our respondents bear, spending as much as eight hours a day fetching 20L of water and carrying it over rough terrain to meet the needs of both family and animals. The research aim was to find out how much the disempowerment of women within pastoralist societies contributes to water insecurity for their households, and conversely whether women from households with better water security have opportunities to become more empowered. We collected a substantial volume of qualitative data which had to be sorted, entered, checked and analysed. Some of the analysis was done the ‘old fashioned way’ by spreading out papers all-round the room and brainstorming the summary points. The findings of the study confirmed that water related tasks are highly gendered within pastoralists households. Indeed, women and girl children are responsible for most of the tasks within the household (including watering small and sick animals), whereas men are only responsible for watering livestock. However community water governance is dominated by men, and women have very little control over water management decisions. For example, construction and management of both domestic and livestock water sources (e.g. digging, clearing, repairing and maintenance) are male responsibilities and to an extent males control female access to water sources. Women do have absolute control over water within the homestead and this can be a source of power for them within the family. The study contradicted the hypothesis behind the research, and a common assumption in water development, that women who have more time available because they do not have to spend all day collecting water, will use their time for income generating activities. In the communities that we studied the work load of the women is so overwhelming, especially in the dry season, that any time they save fetching water is used to get the other chores done, look after the children or take a well-earned rest. However there are clearly circumstances in which women who are more empowered are able to mobilise resources to reduce water insecurity. One clear example is where women in women’s groups were able to buy storage tanks and pay for ‘bodobodo’s (motorbike taxi’s) to collect water. The relevance of the work has been clear as the drought continues in Kenya and women are walking longer and longer distances to fetch water. The impact of this burden on the women, the households and the communities as a whole, is huge and water security is the number one priority for many pastoralists. Understanding the gender dimensions of the problem helps us to find solutions that are genuinely sustainable and contribute to building resilience to drought. However the study raised some questions about other socio-political drivers of water security in these communities in arid and semi-arid areas, and whether an understanding of these determinants can help us to predict which households will be water insecure and need more support in times of stress. This will be examined in a follow on study running in 2017-2019, co-funded by the REACH programme. The new study will also look at women’s empowerment and water security amongst the pastoralist drop outs in peri-urban areas.